Gravity is a fully-featured*** native Twitter client for the S60 platform. It supports multiple accounts, Twitter Search, Laconica, posting of pictures via MobyPicture & TwitPic*** wraps everything into a gorgeous looking interface. this patched version only works for hacked s60v3 phones (no s60v5). also, the "info & ***s" is disabled (will fail with "network error -1") because that’s where the expiration check happens. beside this, everything should work normal*** without trial expiration. * re-tweet (forward) of tweets. With a few clicks you can re-send a tweet you received without re-typing the message. * mark tweets as favorites: Useful on the road when you want to mark a tweet for later reading. * (Optionally) display avatar pics, pics are automatically resized depending on the screen size of your phone. * notifications: configure twibble to vibrate if new tweets arrive. * keyboard shortcuts: to access the most important functions use the keyboard shortcuts. * themes: twibble comes with a couple of different themes you can chose from. * optimized to generate as little data traffic as possible. Only new tweets are fetched to reduce data traffic. * open web links contained in a tweet (via phone browser). 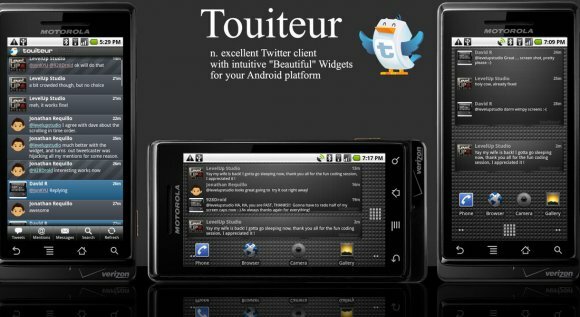 In addtion twibble mobile can add your position to a tweet (but only if you want!). It can even make use of the built-in GPS of the N95 or other GPS phones. The position can be displayed on the mobile device and on the desktop in Google maps or Google Earth, e.g. via the twibble API.